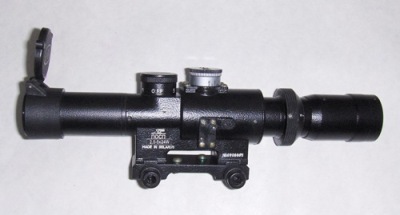 POSP 2,5-5x24 W 400 m or 1000 m - Sniper Rifle Scope with reticle illumination Range Finder. 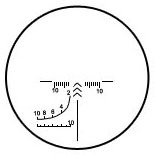 This scope may come with 400m or 1000m RF reticle depending on stock availability. The POSP 2,5-5x24 W is for rifles with a standard Weaver or Picatinny base.